When Anna decides it's time to leave her abusive boyfriend, she doesn't know where to turn. Rob has completely won over her parents, and the entire community, with his good looks and smooth charm. Only Anna has seen his dark side. 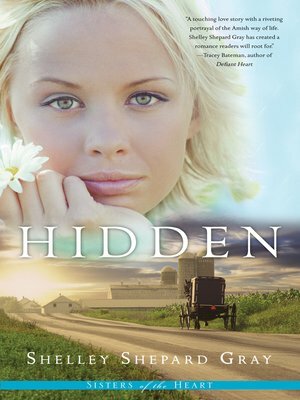 Desperate, she runs to the only place she's ever felt completely safe—the Amish Brenneman Bed and Breakfast, where Anna met life-long friend Katie Brenneman. The family welcomes her in, and with few questions asked allows her to stay, dressed in Plain clothing, and help around the inn. Katie's older brother Henry is the only one who doesn't take too kindly to the intrusion. He tries to ignore Anna, knowing no good would ever come from caring for an Englisher like her. But as he gets to know Anna, he discovers her good heart and is surprised with her readiness to accept their lifestyle. The more time Anna spends with the Amish, the more she feels she's found a true home. But how can she deny the life she left behind? And will her chance for happiness be stolen away by the man from her past?